The new range includes coolant and corrosion inhibitor. HITACHI Construction Machinery has expanded its range of filtration and coolant products with the addition of the Donaldson Endurance organic long life coolant product range. Included in the range is the LLC 50-N anti-freeze, anti-boil coolant available as either a concentrate or pre-mixed, and the LLI 7.5 corrosion inhibitor coolant also available as either a concentrate or pre-mixed. 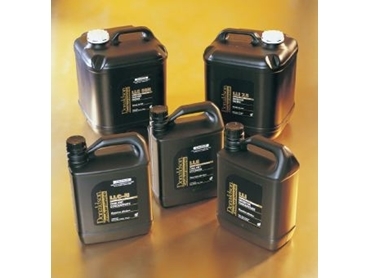 Suitable for use in all heavy-duty diesel and natural gas engines, the Donaldson coolant range enables extended protection against scale build-up, corrosion, cavitation and pitting of wet sleeve liners. It is compatible with all cooling system metals including aluminium, iron, copper, brass and solder alloys. Designed for the extremes of the Australian climate, the new range provides improved equipment protection in high operating temperatures. It also offers enhanced hot surface aluminium protection. Developed using non-depleting organic acid technology which results in fewer dissolved solids, the product offers improved water pump and pump seal life. It also has virtually no adverse effects on rubber hoses and gasket materials. The impact of hard water scale is reduced and the coolant does not suffer from silicate dropout or gel formation during use or storage. The LLC 50-N coolant will provide freeze protection to -37°C and raise the boiling point to 129°C with a 103kPa radiator cap. Intended for direct use in the cooling system, it is compatible with conventional coolants and can be used for top-up without the need to drain. The LLI 7.5 coolant is a blend of corrosion inhibitor in de-ionised water offering long term corrosion protection of engine cooling systems. According to Donaldson, this product requires no pre-charging or recharging of inhibitors and is suitable for initial fill or top-up. With no ethylene glycol and environmentally friendly, it is biodegradable and contains no borates, molybdates, phosphates, amines or nitrates. The coolant is supplied in 20, 205 and 1000 litre drums. The concentrate variants are also available in 5-litre container.